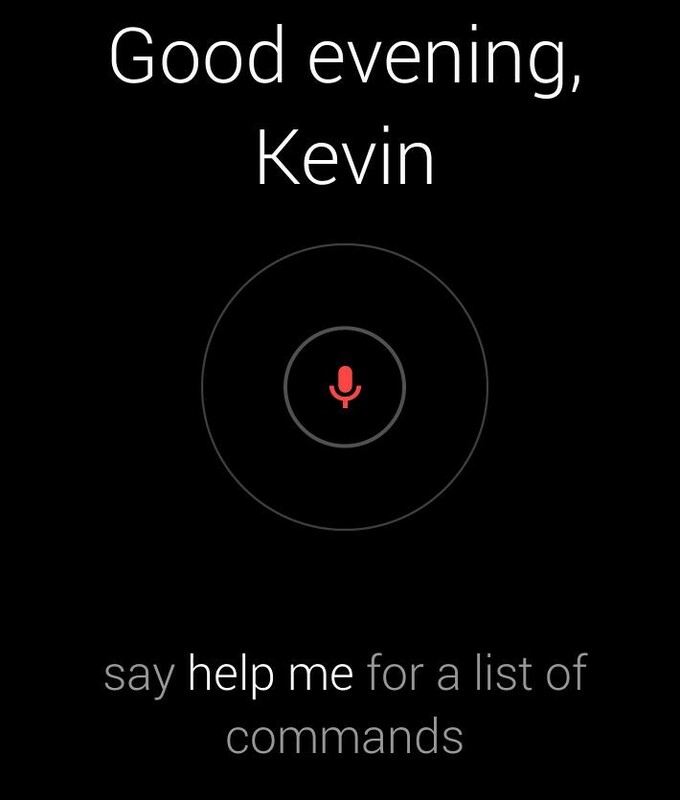 Your Android phone could soon do your bidding completely through voice commands. Evidence of a new “OK Google Anywhere” feature appeared this week on Android Police, which claims that Google is looking to expand its Android voice controls beyond simple search and Google Now. What might that mean if implemented? Instead of tapping your Android device screen for every little interaction, you’d be able to speak a wide range of commands. Think of sharing photos with friends, composing and sending an email or updating status on a social network simply by speaking to your phone or tablet. 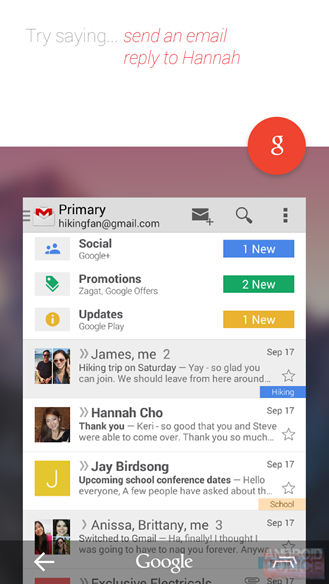 An example of the feature could look like this mock-up created by Android Police. While just a rumor for now, the concept makes sense. Google has been steadily expanding the voice capabilities of its search app, leading to Google Now voice commands, voice search on various platforms — both desktop and mobile — and the always-listening feature of the Moto X and Moto Droid handsets. Google Glass already relies heavily on voice interaction and the upcoming Android Wear smartwatches will as well. I’d expect an OK Google Everywhere feature to require special hardware, however. The reason touchless controls are effective on the Moto X, for example, is because the natural language processing is offloaded to a low-power digital signal processor that is monitoring for voice commands full time. If the main processor chip were doing so, battery life would suffer greatly. The latest Qualcomm chips that power phones and tablets can await spoken commands without using much power, so my expectation is that “OK Google Everywhere” may require them. That means the newest Samsung Galaxy Tab 4 slates wouldn’t have the feature if Samsung uses its own Exynos processor. The tablet’s U.S. launch was announced this week and come in a trio of sizes: 7-, 8- and 10-inches. 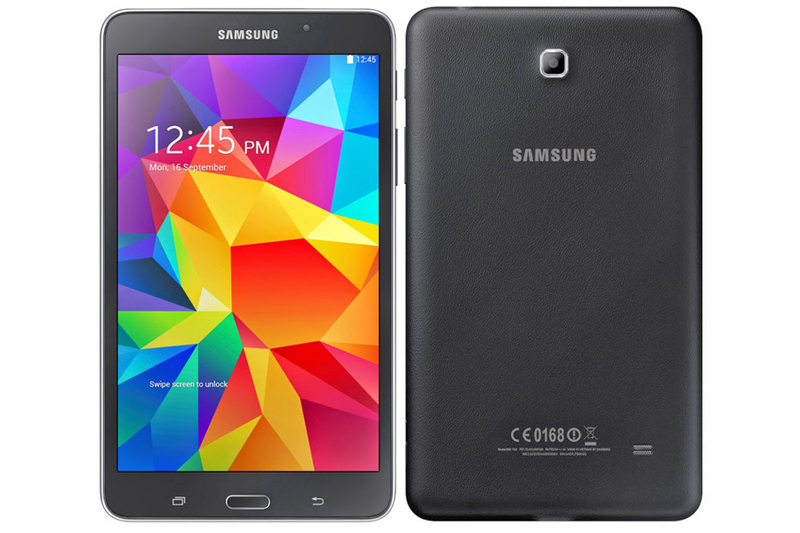 These are generally considered to be lower-end or entry-level tablets for Samsung which has more expensive models with its Note and Tab Pro line. As a result, these all have 1280 x 800 resolution displays and 8 or 16 GB of internal storage, although memory can be expanded with a microSD card. The tablets will launch initially in Wi-Fi models but LTE editions will soon follow. That means either a new monthly wireless bill or adding the slates to a shared data plan, which is pretty standard fare. Perhaps that’s why Amazon is reportedly consider a market shakeup with a Prime Data feature for its smartphone. No details have surfaced yet on the feature, however it wouldn’t be a stretch for Amazon to offer some amount of free mobile broadband on a smartphone of its own. The company did just that when it added a 3G radio to its Kindle e-reader, for example. Just like that device, Amazon could easily foot the bill for data transfers for smartphone customers to download books, music or videos from Amazon’s digital content stores. Could free data be used for web surfing or other activities with Prime Data? It’s possible although I couldn’t envision Amazon providing several gigabytes of monthly data at no cost. Perhaps 500 MB or even 1 GB — possibly limited to 3G networks only — is a possibility, however. We should find out in June, when Amazon is expected to announce its smartphone.